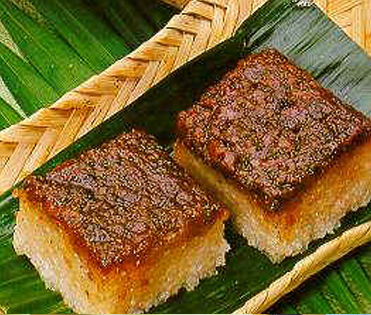 The ginataan is one of popular Filipino desserts or snacks served during birthdays and other special events in the country. However, they are especially cooked and eaten during the Holy Week in Cebu and other Visayan islands on Good Friday, when most of the locals are fasting or abstaining from eating any meat. I have eaten both the binignit and biko several times already and I can definitely recommend both of them for people who want to eat their dessert slowly just like me. The binignit is the Cebuano version of the Filipino soup dessert of ginataan. The ginataan is a soup consisting of a thick mixture of tubers such as taro, purple yam, sweet potato, as well as bananas, jack fruit, sago, tapioca pearls and sugar, cooked in coconut milk and thickened with milled glutinous rice. The binignit is served and eaten hot especially during the cold, rainy season. But it is also served cold and chilled during the hot summer season. 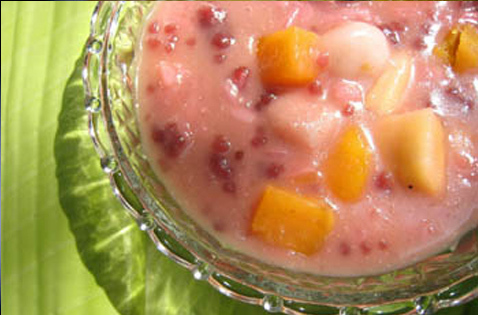 The Cebuano binignit is a soup traditionally made with slices of bananas, taro, and sweet potato. Cooked together with the vegetables, fruits and pearl sago is a mixture of water, coconut milk and the landang, which is a local variety of the sago. When served hot, I would eat the binignit slowly like a hot soup and take small bites of the cuttings of the fruits and vegetables in the dessert. Even when I have eaten all the ingredients, the binignit’s sweet taste is still a treat and I would slowly sip it with my spoon as if I would be sipping a soup. Binignit served cold and chilled is popular during the hot summer days since its ingredients are almost similar popular to another popular Filipino dessert during the summer, the halo-halo.